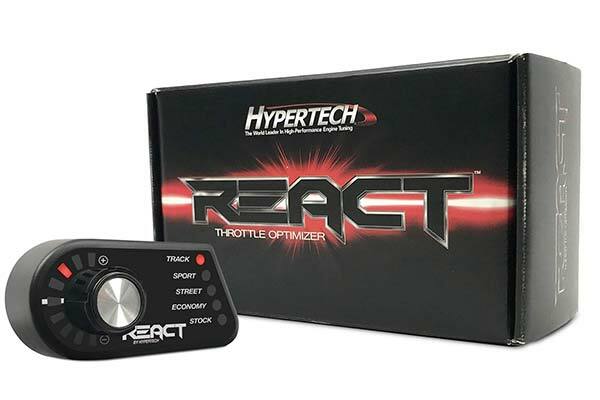 REACT is Hypertech’s innovative throttle optimizer which combines Hypertech’s history of award-winning Engineering and exciting performance. 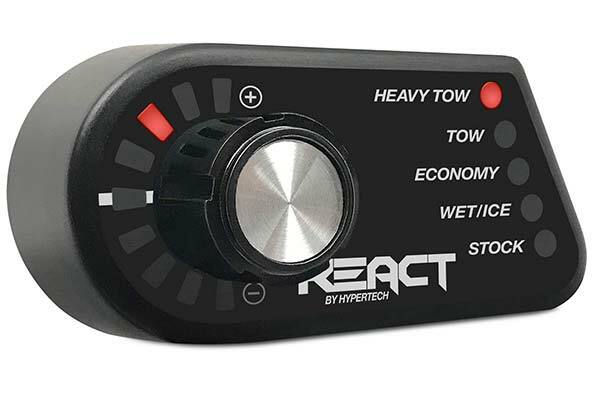 The REACT offers fully customizable control over your vehicle’s throttle response. The simple control knob allows you to switch between multiple modes and control the throttle intensity of each mode on-the-fly. The REACT installs easily and is completely plug-and-play, has an automatic setup sequence so no disassembly is required, comes with a magnetic A/C vent mount (Pedestal swivel mount also available - Sold separately at hypertech.com/react.aspx), and doesn’t void your factory warranty. Plus the REACT is internet updateable. Three (3) versions of the REACT throttle optimizer are available to fit your particular driving needs...Performance, Off-Road, and Tow. Reference # 753-507-994 © 2000-2019 AutoAnything, Inc.